2019 509 Kingpin XL Goggle Nightvision XL Free Shipping!!!! Introducing the all new Kingpin XL goggle. The XL features our standard Kingpin frame with XL face foam. 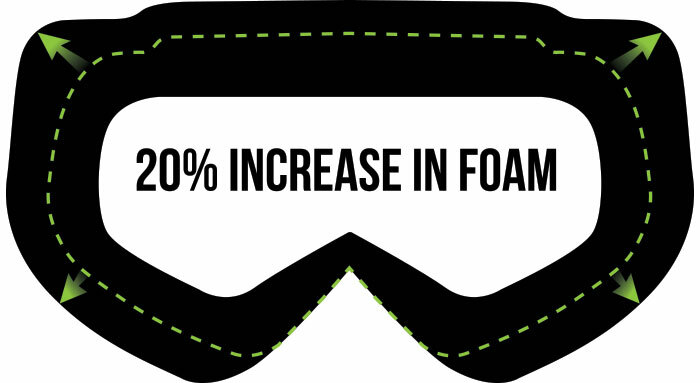 We increased the face foam coverage by 20% to fill any gaps between the goggle and helmet. This XL goggle was specifically designed for snowmobilers who wear 2XL-4XL helmets. If you’ve traditionally had small areas of exposed skin between the helmet and goggle, the all new XL is the ticket.